It is no secret that Dallas, TX can get quite warm, especially during the summer months. This can make it a little difficult for homeowners to maintain the beauty of a lawn that uses natural grass. Fortunately, homeowners have a variety of solutions to this issue. One of the best options available in today’s market is to switch to a lawn with synthetic grass. Numerous homes throughout Texas and the rest of the United States are starting to make the switch over to synthetic grass as part of their home’s landscaping—and we aren’t talking about your grandfather’s “Astro Turf”. Today’s artificial turf is remarkably more advanced than ever before. As a result, synthetic grass is now nearly indistinguishable from natural grass. One of the biggest advantages of having synthetic grass in your home is that you no longer need to water your lawn the way you used to. Yes, synthetic grass does still need to be watered, but only on an “as needed basis”. Think washing away pet urine and the like. This often leads to hundreds to even thousands of dollars saved on your monthly water bills. That money can easily be used for any other home improvement projects you’ve wanted to do or even a nice vacation for the whole family to enjoy. Given enough time, the amount of money you save on water can easily pay for the initial cost of the product and installation services. Admit it; watering, de-weeding, re-sodding, and all these other forms of lawn maintenance aren’t anywhere near the top of your list of favorite household chores. On top of this, it isn’t like everyone has the time to set aside every week to properly maintain natural grass. These issues are a thing of the past once you jump ship to artificial turf. No more mowing, re-sodding and other maintenance routines become a thing of the past, allowing you to reallocate your time to the tasks and the people who matter the most. Since each blade of grass in artificial turf is made of recycled plastic, you never need to worry about pests like ants and chinch bugs. Similarly, the lack of soil underneath means you need not worry about weeds and other undesirable growth. These two characteristics don’t just cut down on your maintenance. They also mean that you can skip using harmful chemical pesticides and herbicides. This creates a safer environment for your children and pets, plus it also means you reduce chemical runoff from contaminating your local water supplies. It’s a win for you and the environment! In general, artificial grass requires the land it will be installed in to be as flat as possible. This is because uneven land may create unsightly bumps and hills that may force sections of the synthetic grass to come off. As such, survey your property to see if there are any spots where the land is uneven. If you find any, be sure to inform your installation company. Respected artificial grass installers like Synthetic Grass DFW will often be more than happy to take care of leveling the ground around your property to ensure proper installation of your synthetic grass. Artificial grass uses a special in-fill, eliminating the need for soil. This is one of the reasons why weeds are not an issue once synthetic grass is installed. However, this won’t fix any existing issues with weeds. Placing synthetic grass over any weeds will allow weeds to grow through the layer of synthetic grass. There’s also the possibility that a large concentration of weeds in one area will cause sections of your new lawn to come loose. Prior to the actual installation, make sure that you remove every weed you can find or hire a professional lawn maintenance service to do it for you. 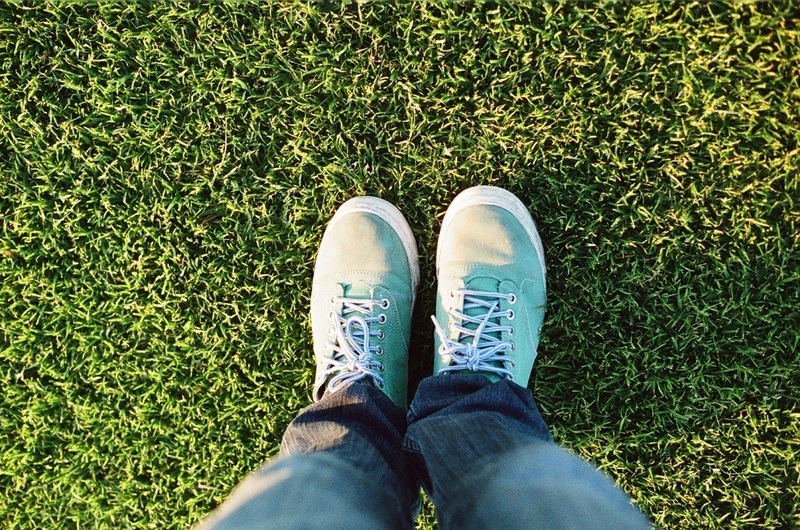 Artificial turf isn’t just for creating your dream lawn. It has a wide range of applications that homeowners can take advantage of and use to complement their lifestyles. Some installation companies are happy to use artificial grass to create a small putting green right in your backyard. Some homeowners can also opt to use synthetic grass to create play areas for their children and pets. Sit down with your family and try to determine how you want to use the area that will have artificial grass installed. This will help you and your installation company finalize designs, materials, and how the product will be installed. Lastly, make sure that you work with an artificial grass installation company that has an outstanding track record in your local area. When installed incorrectly, artificial grass may lead to a variety of problems, undermining any of the benefits that the product brings to the table. If possible, ask your installation service if they can provide you with the contact details of previous clients. Give their previous clients a call and ask about how easy it was to work with the company and how their synthetic grass is holding up since it was installed. This should give you a good idea of what to expect when working with that particular service provider.